Many people develop a love of board games as children. It is not uncommon for adult gamers to want to pass that love of games onto their children. However, not everyone played games as a child, and not everyone has children. That doesn’t mean that games designed for children can’t be enjoyed by adults. Today, we talk about games that are great for both kids and kids at heart. 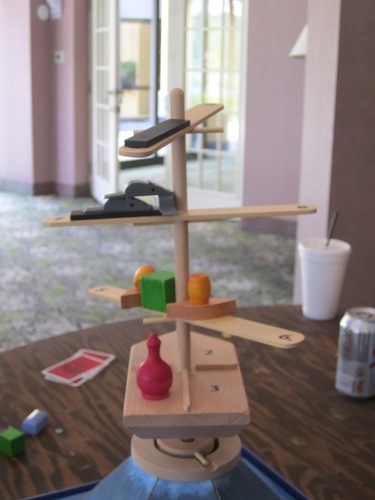 Rhino Hero is a dexterity-based, card-building game where players build a tower for a rhino to scale. Each player has five roof cards to contribute to the tower, supported by various wall pieces. Use up all your roof cards, and you’ve won! However, players must also move the rhino up the tower as the cards dictate. Knock over the tower, and you’ve lost the game! Hey, That’s My Fish! 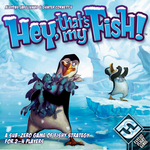 turns players into penguins who try to catch as many fish as possible. 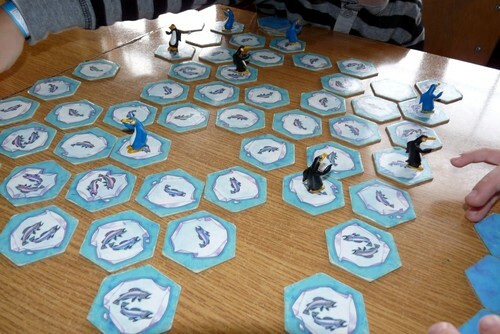 Players move penguins in straight lines over hex-shaped ice tiles to collect fish, while also trying to strand their opponents in the middle of the water. 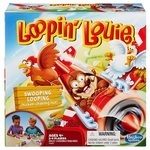 Loopin’ Louie is a classic game where players try to keep an erratic pilot, Louie, away from their chickens. 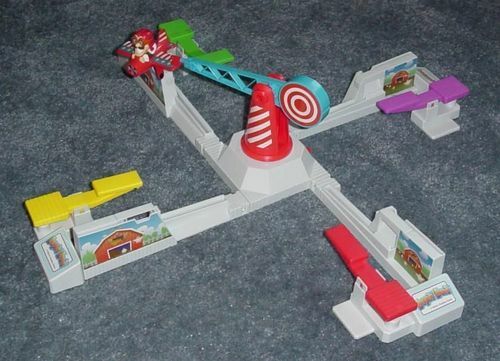 Louie flies around in his motorized airplane while players try to launch him away from their coops and into those of their opponents. Hey, that’s my chicken! Try out Loopin’ Chewie if you prefer a Star Wars theme. 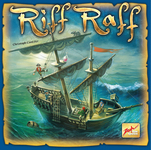 Riff Raff has players balancing pieces of “treasure” on a wobbly ship. All players have the same cards available, and they each select one to reveal simultaneously. They place their pieces-of-eight on the locations determined by the cards they played, being careful not to throw off the balance, tossing treasure into the sea. 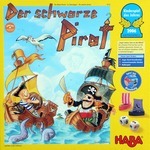 In Der schwarze Pirat, players try to avoid the everpresent Black Pirate by creating gusts of wind that propel their ships (and their treasure) away from him. A miniature bellows pumps blasts of air that push the tiny sails along. Thar she blows! These are just a few games that speak to the kid in all of us. Maybe we just like the chance to play with some fun toys. Have you tried any other family games that play well with children of all ages? Let us know in the comments below!